For some time now a debate has been raging among scholars about whether the first generation Friends were genuinely pacifist or whether they only adopt this position as a matter of political expediency with the fall of the Commonwealth and the Restoration of the monarchy. 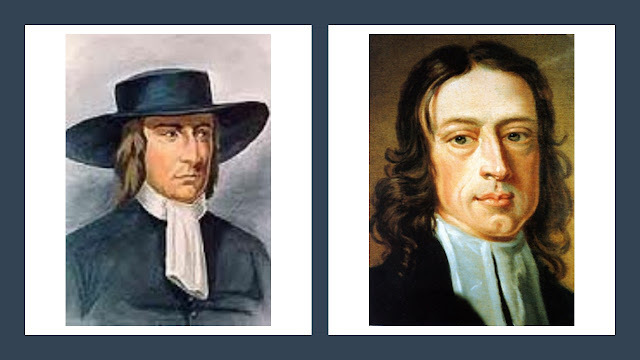 Against the position of Marxist historians such as Berry Reay, Gerard Guiton in his book The Early Quakers and the ‘Kingdom of God’: Peace, Testimony and Revolution’ has argued that early Friends were consistently nonviolent in their beliefs and conduct. David Boulton in his recent Presidential address to the Friends Historical Association has criticized Guiton’s work and defended the conclusions of Reay et al. James Nayler’s The Lamb’s War (1657). We have been disarmed by the Lord - The roots of all war can be found in human nature in its fallen state (where humans are alienated from God) and in particular in our desire to exclusively and selfishly possess and use the creation (the lust of greed). However, we have experienced a spiritual transformation in which God has lifted us out of the fallen state and taken us back into the state of paradise again. This process has destroyed the lusts that lead to war. We have been turned away from the world and towards God. This has not been achieved by our own efforts but by the work of Christ within us. Christ has freed us from the motivation and compulsion that causes humans to fight. Christ is our king and he has commanded us not to fight - We regard Christ as our priest, prophet and king. Our ultimate allegiance is to Christ, not to worldly governments. Christ consistently commanded his followers not to fight. He prevented Peter from using violence at his arrest and refused to use force himself even though the power was at his disposal (Matthew 26:51-53). Christ came to save, not to destroy (Luke 9:56). The use of violence represents idolatry and a lack of faith. God’s people must rely exclusively on the Lord to protect them and should patiently endure persecution (Revelation 13:10). The Kingdom of God cannot be established by human force - The Kingdom of God is fundamentally different from the kingdoms of the world (John 18:36). God has made it clear that the Kingdom will be achieved by spiritual means, not by force (Zechariah 4:6). Christ has led us into the new peaceable covenant mentioned by the prophets (Isaiah 2:4, Micah 4:3). In this state we are literally unable to engage in violence and war. Therefore we are engaged in a spiritual struggle with spiritual weapons, not an outward war with physical weapons (2 Corinthian 10:4). We want everyone to enter the Kingdom of God - We are not interested in fighting for the kingdoms of this world or trying to take them over. These kingdoms will be replaced by God’s Kingdom. So we wait and pray for the coming of the Kingdom of God where Christ will rule in every one of us. It is Christ’s rule in human hearts that brings Shalom. This is God’s wish and intent. We recognise the right of government to punish evil-doers - We recognise that in the world as it currently is (i.e. a fallen world) God has set up government and the law to use force and violence where necessary to control and punish those who do evil (Romans 13). "Had you been faithful and thundered down the deceit, the Hollander had been your subject and tributers; and Germany had given up to have done your will; and the Spaniard had quivered like a dry leaf, wanting the virtue of God; the king of France should have bowed under you his neck; the Pope should have withered as in winter; the Turk in all his fatness should have smoked. You should not have a-stood trifling about small things but minded the work of the Lord as he began with you at first… Arise and come out, for had you been faithful you should have crumbled Nations to dust…"
D. THE EARLY QUAKER POSITION – A CONTRADICTION? A. God’s People – have been regenerated and therefore liberated from the lusts that lead to violent conflict. In the new covenant God’s people defeat evil using spiritual weapons rather than carnal weapons. B. This World – In this world God may use the rebellious powers and unregenerated people to achieve divine ends. Since the powers of this world use violence, divine providence may be exercised in this way. It would seem that this apparent contradiction can be explained by recognizing that the vision of Early Friends assumed that in the new covenant the people of God were in some sense already living in the God’s kingdom even though they were still located in a world that has not yet been regenerated. This meant that they saw an overlapping to two modes of existence with two different standards of conduct and ethics. Interesting stuff, especially given the somewhat mixed history of Anabaptist commitment to non-violence. What are the implications of this for the modern world and for the pacifists within it? 1. We need to consider how to manage the tension between peaceableness as a fruit of the Spirit (which may involve a long, slow and arduous individual process of renewal) and our opposition to war as a more general ethical principle. Is it hypocritical to condemn war in general when we still have the seeds of war within our hearts? I think that this issue demands individual humility and the willingness to submit to careful spiritual discernment within our communities. 2. Are we prepared to countenance the possibility that God pursues divine ends through the violence actions of the world's powers. If Christ Jesus, the Prince of Peace shows us how God deals with evil, can it be possible that God acts in ways that contradict the way of Jesus? Is this where we have to admit that we are incapable of understanding the mystery that is God or is that just a cop-out? 3. Early Anabaptists and Quakers do seem to model a way for us that is pacifist but not passivist. A fascinating exposition Stuart, many thanks for this. It seems difficult to decribe the early Quaker position as pacifist in the modern sense, as they clearly accepted the State's right to use violence for the purpose of 'keeping down' sinners and transgressors, (apparently including foreign powers). My understanding of orthodox Christian theology is that God's purposes can be fulfilled through the violent actions of evil-doers (eg Yahweh 'hardened the heart of Pharaoh'). This has always seemed impossible to accept, unless one is also willing to say that God 'hardened the heart of Hitler'. I'd be interested to know where you stand personally on this. Thanks for your thoughts Craig. I see early Quakers as people who by the transformative power of the Spirit were in many ways liberated from the limitations and prejudices of their day but who nevertheless remained people of their time and place. They clearly bought into the dominant understanding of divine providence even though it appears to conflict with their understanding that God's people are freed of the motivations that lead to violent conflict and that the kingdom of God would be realised by spiritual struggle rather than physical force. I believe that in Jesus God shows us how God deals with evil. Jesus refuses to resort to evil in confronting evil and maintains his moral independence of the powers of this world. In him evil and violence hit a brick wall and are defeated. As a result I can't accept that God actively seeks to achieve divine ends by using violent means. That doesn't mean the God as Spirit is not an active presence. It may be that if God is 'love and truth' then God's Spirit may be active in all people (including armies, governments and empires) as an influence in favour of peace and justice. I think that is very different from arguing that God actively uses systems of repression and violence. These are very interesting comments, so thank you both. My book, The Early Quakers and the 'Kingdom of God', was about how the central focus of the early Quakers was the Kingdom of God. You have mentioned 5 EQ positions against the use of violence. These seem water-tight nonviolent positions according to their own Light but perhaps to ours too. The Kingdom was unconditional to time and space. Today, I do not know of any theologian who regard the Kingdom of God as violent. However, the 'violent' tracts are problematic at first. I address them comprehensively in the book. Crudely, I maintain they contain apocalyptic language which the first Friends gleaned from their wide knowledge of the Hebrew Bible. This language contains much metaphor (with which Friends like M. Fell were well acquainted) and anagogy. Biblical language, and particularly from the Hebrew Bible, is often militaristic. They simply used this language, at face value so to speak, without agreeing with the violence of the words. This was actually common practice at the time. There is need for more research on early Quaker linguistics, but also, among modern Friends, a greater appreciation (urged in my book) for the astounding theological competency of the early movement's literati such as Samuel Fisher. Were the EQs pacifist? It's a common question today because many people, Friends or otherwise, think 'pacifism' has a long lineage. It is of recent origin. They were certainly nonviolent, however. The two of course are not the same. They were nonviolent because they believed Jesus was nonviolent, and that the Lamb's War (itself clearly nonviolent--even its name suggests it!) for spreading the Kingdom on earth needed to be correspondingly nonviolent. There's a simple logic at work here, I think, and indeed they wrote many, many, MANY tracts in favour of non-'carnal' weaponry. They were also in favour, sensibly, of what we would call 'police action'. They were not up for a social free-for-all. This is clear, for instance, from the injunction at the bottom of p. 5 of the Fox-Hubberthorne declaration (erroneously) called the 'peace testimony' by modern Friends. They had this in common with people like Gerrard Winstanley who in 'The Law of Freedom' distinguished between a 'fighting army' and a 'ruling army' (see my book p. 338). All this has to be contextualised vis-a-vis the concept of 'army'. We have a modern view of this word. The ancients had a different view as my book outlines, and in it I commend the work of Coleby. His work on the nature of the civil aspect of the NMA needs studying by supporters of the Marxist position. Indeed, as we're talking about contexts, the Marxist position must itself be seen within the context of the 20th century's cold war when Marxist apologists, very active across the whole intellectual spectrum, were busy creating scholarly apologies for the revolution (take a peak at 'New Left Review' and the Marxist-inspired journals, 'The Seventeenth Century' and 'History Workshop'). Looking back to the seventeenth century English 'revolution' they saw justification for their own revolutionary stance. The EQs were recruited to their cause but they failed to understand the nature and direction of EQ mystical and apocalyptic language. In the modern context we would of course be unwise to adopt the EQ weltanschauung wholesale. But their understanding of the Kingdom--again, the purpose of the book--needs closer examination in my view because it has much to teach us today. To this end I have written a short work which is very near completion. I've written it for a general audience for today's milieu and intend to call it 'The Way of Blessedness'. In it I make use of a small number of early Quakers but take a magnifying glass to the Kingdom itself. I call it 'The Way' and examine 12 of its principal features and 12 outcomes of following the 'Way'. Dear Gerard, thank you for your helpful comments. I have very much appreciated both of your previous books. I have one or two quibbles with 'Kingdom' but the amount of material from early Friends that it makes available is extensive and very valuable. I look forward to reading 'The Way of Blessedness', best wishes with its completions. Blessings, Stuart. Relevant is Robert Barclay's An Epistle of Love and Friendly Advice to the Ambassadors of the several Princes of Europe met at Nimeguen, to consult the peace of Christendom (1677), which he produced having journeyed to the continent with Fox in 1676, the background being the Franco-Dutch War of 1672-1678. In this pamphlet Barclay called upon kings who are Christians to behave accordingly, Jesus being Lord of All. He also said 'Magistry is an ordinance of God who bear not the sword in vain', referring to Rom 13:1-4. His call was for peace-making not disarmament as such. The eventual Treaty of Nijmegen (1679) established a long-standing peace between France and the Dutch Republic, so Barclay's words may have had some effect. Thank you Mark, that's very interesting. I think after the first generation, the opposition to war and commitment to peace became a more general ethical principle rather than just an indicator or new birth in Christ.